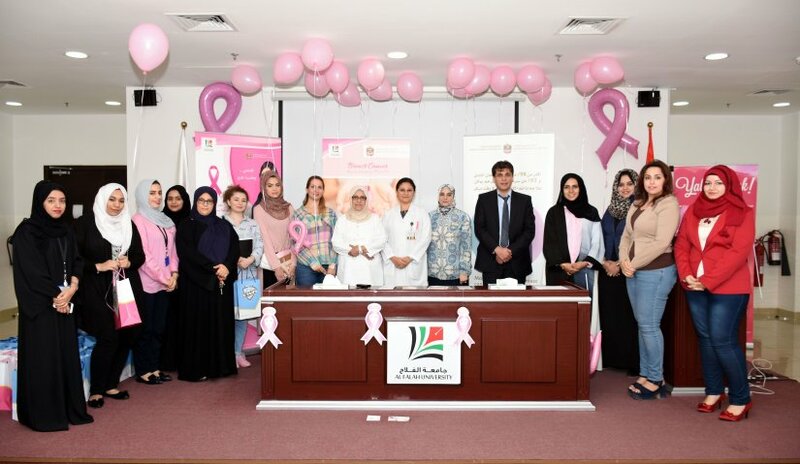 As part of the Community Life Health Initiative, Al Falah University organized a breast cancer awareness campaign in cooperation with the Ministry of Health and Community Protection. Students, faculty members, and administrative staff participated in the event. Participants underwent medical examinations and counseling on the importance of monthly self-examination and early detection to prevent breast cancer. Attendees were also encouraged to eat healthy food, be physically fit and be constantly attentive on signs and symptoms of the disease.